Back in Pittsburgh, I've continued to do a ton of venison cooking, as I mentioned in a post last month. We have venison in a variety of different cuts, so I've been trying a number of different recipes. In addition to ground venison, we seem to have a lot of chops as well, which the butcher has mostly chopped up for us, so it seemed like they would work well in a stew. I made two modifications to the recipe: First, I added some smoked paprika in the Essence. 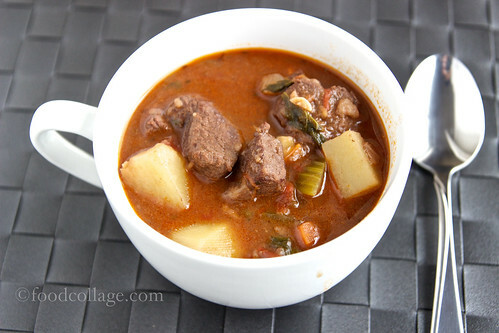 Second, I included chopped potatoes and added them to the stew when I add the stock. 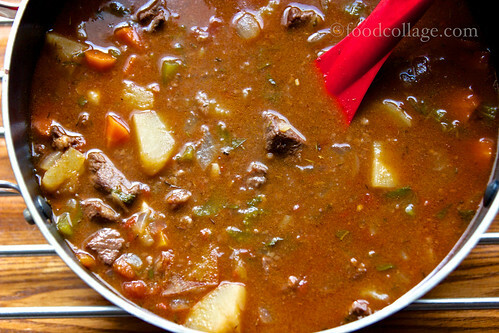 We both love this stew and have made it often!